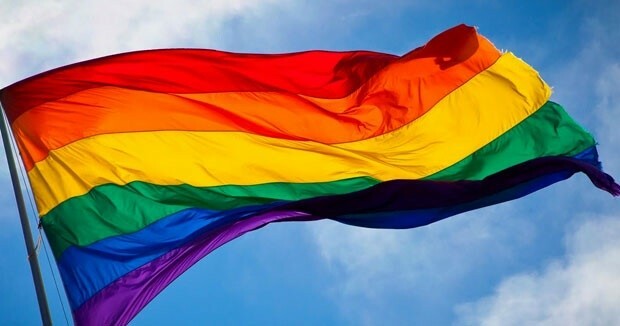 If you haven’t checked out the awesome events at the LGBT Center in Manhattan, June is the perfect month to connect with the community there. Here are a few of their upcoming events for LGBT families. In 2012, Center Families at The Lesbian, Gay, Bisexual & Transgender Community Center started offering couples counseling and families resource coaching. Couples counseling is intended to help build and support healthy and fulfilling relationships, and the families resource coaching is for those who would like individual/couples/co-parenting support through goal-oriented sessions that will help grow your family. Counseling and coaching fees are on a sliding scale based on family income and delivered by licensed social workers or intern staff supervised by licensed social workers. A group for LGBTQ people exploring the possibilities of becoming parents through adoption and foster care. This group meets the 1st Thursday of every month. Requested donation, $5 per household. The New York Legal Assistance Group (NYLAG), an organization that provides free civil legal services to New Yorkers who can not afford a private attorney, is available to discuss second-parent adoptions, life planning documents including advance directives, last will and testament, legal issues arising from a couple deciding to marry, and relationship dissolution, custody, etc. Legal issues can be discussed with anyone that has questions, no matter their income, but legal representation by NYLAG, and on-going services, are for those who can not afford an attorney. For women considering, preparing for, or currently in the process of conceiving through alternative insemination, please drop by this bi-monthly gathering to share your story, seek support, and exchange information with others who are also taking this exciting journey to parenthood. All are welcome. Requested donation, $5 per household. A support and networking group for pregnant parents-to-be wanting to connect and share their experiences and resources with others. Partners welcome! This group meets the 3rd Thursday of every month. Requested donation, $5 per household. For more information, call 646-556-9297 or email centerfamilies@gaycenter.org. Center Families Family Law Clinic is an opportunity for those with families and those planning families to have questions answered and concerns addressed by our resident legal expert, Cliff Greenberg, Esq and his associate, Evita Nancy Torre, Esq. Come and join Center Families as we welcome Groundswell & Reveal Productions for a screening of LOVE FREE OR DIE. LOVE FREE OR DIE is about a man whose two defining passions are in direct conflict: his love for God and for his partner Mark. Gene Robinson is the first openly gay person to become a bishop in the historic traditions of Christendom. His consecration in 2003, to which he wore a bullet-proof vest, caused an international stir, and he has lived with death threats every day since. LOVE FREE OR DIE follows Robinson from small-town churches in the New Hampshire North Country to Washington’s Lincoln Memorial to London’s Lambeth Palace, as he calls for all to stand for equality – inspiring bishops, priests and ordinary folk to come out from the shadows and change history. ← HOW DO CHILDREN BECOME AVAILABLE THROUGH FOSTER CARE?